WeChat reached 1 billion daily active users in 2018. On January 9th, 2019, Allen (Xiaolong) Zhang, creator of WeChat, gave a 4-hour long speech at Tencent Holding’s annual WeChat conference. A button that replaced the “like” with “wow” at the bottom right corner of WeChat posts. This change provides a new means for users to recommend high quality accounts to their network. 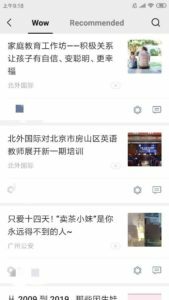 WeChat also updated its “Top Stories” page to bring about the changes: The articles that a user and the users’ friends have “wowed” will display in the “Top Stories” page. 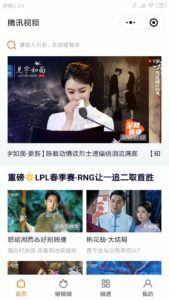 As in the early stages of WeChat, public accounts’ traffic followed the “20/80 rule”: 80% of the traffic came from reposting on WeChat Moments, while only 20% came from subscribed readers directly. This meant 20% of the users were selecting and recommending high-quality content, and the rest (80%) benefited from it. This, according to Allen, is WeChat’s inherent ‘natural selection’ function. 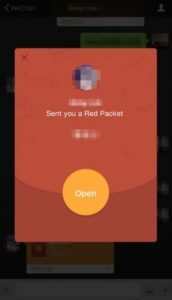 New customizing features will be added to the electronic ‘red pocket’ function within WeChat Pay during the Chinese Spring Festival. Stay tuned! Improvements will also be made regarding the “cards & offers” function. WeChat plans to integrate corporate membership cards, which will contribute to a better understanding of consumers’ behavior in relation to brands. For more information about Chinese Mobile Payment, check out this article. Mini-programs are small-sized applications, lighter than 10 megabytes, that are integrated within WeChat and run instantly within the ecosystem. They now connect WeChat’s 1 billion users to more than 200 industries, and have already registered over 100 billion transactions, according to South China Morning Post. 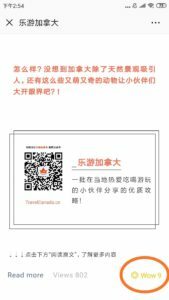 WeChat mini-programs are a fantastic channel to drive traffic. They provide added value to users and higher returns for brands. 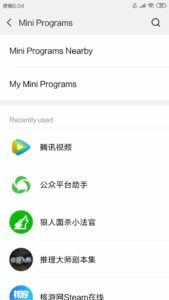 Mini-programs will be receiving a lot of attention from WeChat developers in the coming months. As with everything ‘Chinese’, the sheer number of users provide a form of self-perfecting process. A rapidly growing number of physical stores have been using mini-programs to connect with their customers more efficiently, and to facilitate sales. The growth factors for mini-programs include direct search, an evaluation system, and notification settings. Want to read more about mini-programs? Click here. More than an internal corporate communication tool, new updates of WeChat at Work are based on the notion that everyone within the company is a window to the services the company provides. The individuals are certified service providers. For example, people may find it difficult to reschedule their bookings through App or mini-programs, but much easier to talk to a real person. 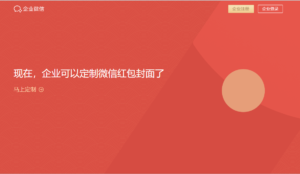 This function will allow company staff to connect with customers using the company’s WeChat at Work account. All the services will be offered through the menus on this account. It is very similar to the menus on the public account, but the difference is that customers can talk directly with the person behind the WeChat at Work account, and they will receive a timely reply. This will help the company build brand loyalty. If you are looking to engage with Chinese customers, check out our Golden Dragon Certification & Marketing program. After earning the Master of Education degree from UBC, Richard joined LAT and takes pride in helping local business adapt to Chinese market in many ways. He is also in charge of the instruction of China-ready training programs and the quality assurance of translation projects.